The industrial revolution that started in 18th century England brought about a rapid change in the economy through the introduction of power-driven machinery that facilitated mass production. This chain of developments soon led to other inventions and technological advancements that while contributing to the rapid material advancements of civilization, led to a huge increase in energy requirements and an alarming rate of depletion of fossil fuel sources such as coal and oil. The name of Alexander Graham Bell (born March 3, 1847, died August 2, 1922) strikes a “bell" as the inventor of the telephone, patented on March 7, 1876. What most people do not know is that this eminent scientist, engineer, inventor, and innovator is amongst the first advocates of renewable energy as a solution to dwindling coal and oil resources. After his research in acoustics that led to the invention of the telephone, Alexander Graham Bell started to take a keen interest in the greenhouse effect. The history of renewable energy started much before Alexander Graham Bell’s time. “Burning fluid” or camphene, the most popular lamp fuel of the 1850s, consisted of turpentine distilled from wood, alcohol distilled from grains, and camphor oil, and sold for 50 cents a gallon. This alcohol powered irons, coffee roasters, hot water heaters and stoves, and even alcohol-fueled cars were common in those days. The discovery of “rock oil", now known as fossil fuel, soon changed the scene. The lower costs of kerosene when compared to camphene, the tax benefits for kerosene, which was taxed at 10 cents a gallon as opposed to $2 per gallon of camphene, and the relentless marketing and expansion efforts of oil companies, soon made gasoline and kerosene cheaper and more readily available. Alexander Graham Bell was amongst the first to understand that increasing use of fossil fuels would harm the environment, and that the day was not far away when the sources of such non-renewable forms of energy would dry up. He coined the term “greenhouse effect" to explain the phenomenon of the world becoming warmer due to the burning of fossil fuels. By 1914, Alexander Graham Bell started exploring various renewable energy sources as possible alternative fuel options. He considered the available alternatives of water power, wood, and direct harnessing of the sun’s rays, but soon identified alcohol or ethanol as the best fossil fuel substitute able to meet the demands of the future. In his article in the National Geographic Magazine, Volume 31 of February 1917, Alexander Graham Bell suggests alcohol as a “clean, beautiful, and efficient fuel," which “if not intended for consumption by human beings, can be manufactured very cheaply." 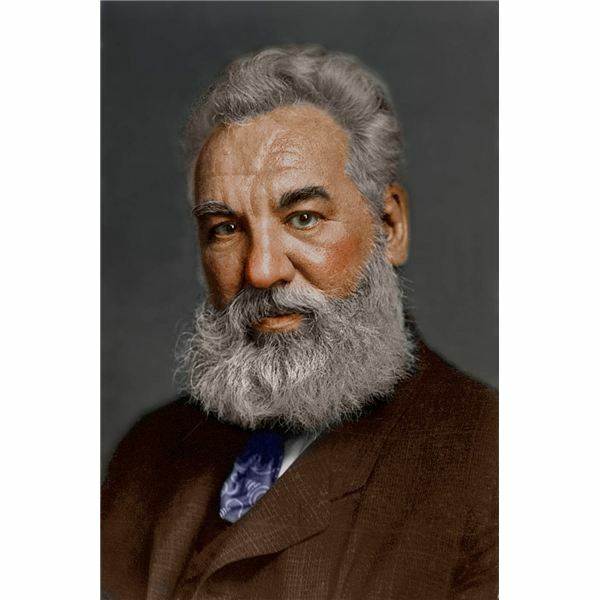 Alexander Graham Bell advocated the manufacture of alcohol mainly from corn stalks, and from any vegetable matter capable of fermentation, such as growing crops, weeds, waste products or farm stubble, and even garbage from cities. Alcohol, or ethanol renewable fuel, is produced by the fermentation and distillation of sugar contained in grains such as corn, grain sorghum, barley and sugarcane, and from biomass such as wheat straw, corn stalks, sawdust, rich hulls, wood chips, and sorghum, which contain cellulose and hemicellulose. The big advantages alchohol presented were: it was clean burning, without any harmful emissions, and offered the possibility of a guaranteed continuous supply. Ethanol as a motor fuel also provided the advantage of not “knocking” under high-compression, allowing for engines of high horsepower. Ethanol, however, required high-compression engines to compress the mixture of fuel and air in the cylinder more forcefully. Cars that run on gasoline had relatively low-compression engines, and this was a major obstacle for the early adoption of alcohol as automobile fuel. Another major obstacle was producing enough alcohol to meet the rising demand. In the early 1920s, the ready supply of alcohol for all purposes was just 100 million gallons, whereas the quantity of gasoline consumed annually was eight billion gallons. The afore-mentioned problem of costs also remained as an issue, and all these factors combined to doom the fate of alcohol as a substitute for gasoline. The further advancement of technology after the Second Word War, led to even greater burning of fossil fuels, resulting in the dramatic rise in carbon dioxide emissions of recent years, threatening unprecedented changes in global climate and natural ecosystems. This has forced experts to take another look at Alexander Graham Bell’s idea of renewable energy sources such as alcohol. 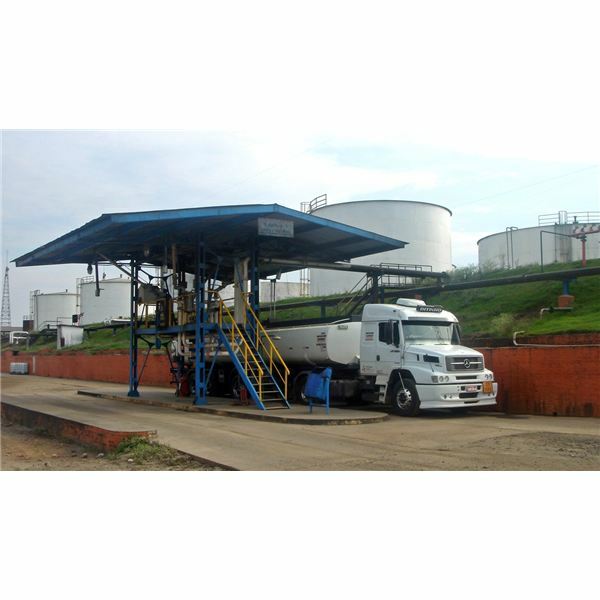 Today gasoline mixed with ethanol finds widespread application. A blend of 85 percent ethanol and 15 percent gasoline, for instance, powers flex-fuel vehicles and research on ethanol is still ongoing. The Alexander Graham Bell National Historic Site, located at Beddeck, Nova Scotia, not only preserves much of Bell’s papers and models, but also pursued and put into practice much of Bell’s ideas. Using Bell’s concept of using alcohol as a cheap source of renewable energy, Manitoba’s Riding Mountain National Park has applied Bell’s idea of using alcohol as a fuel source by collecting waste vegetable oil from local businesses and refining it into bio-diesel fuel to power park equipment. Kejimkujik National Park and National Historic Site in Nova Scotia applied Bell’s “greenhouse effect" to a solar hot water system in the shower building, saving other energy streams and reducing greenhouse gas emissions. Mingan Archipelago National Park Reserve, located along the St. Lawrence River, uses solar power to operate a radio repeater station, avoiding the expense of transporting fossil fuel to the site, and eliminating the noise and pollution of a diesel generator. Alexander Graham Bell was clearly ahead of his time, but the world is surely catching up. Alexander Graham Bell (1917). Prizes for the Inventor: Some of the Problems Awaiting Solution National Geographic Society. p. 133.